Four Eleven’s founder/director Isaac Rayment explores the 360 VR experience in a creative short film. 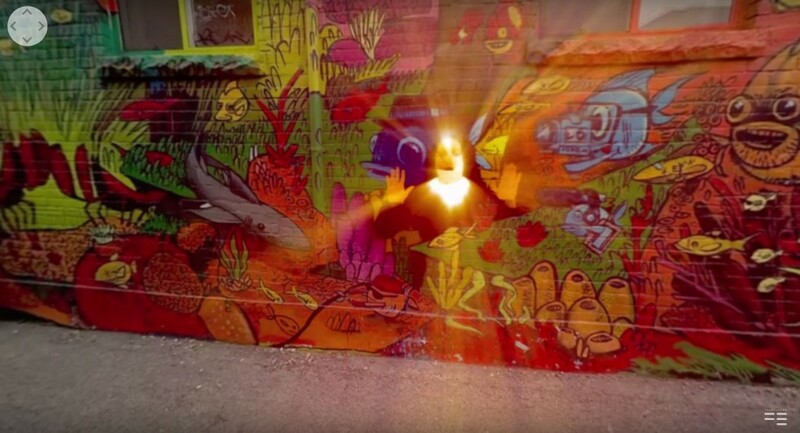 Graffiti Alley is Four Eleven’s first venture into what Isaac believes is the beginning of a whole new era in the evolution of storytelling. 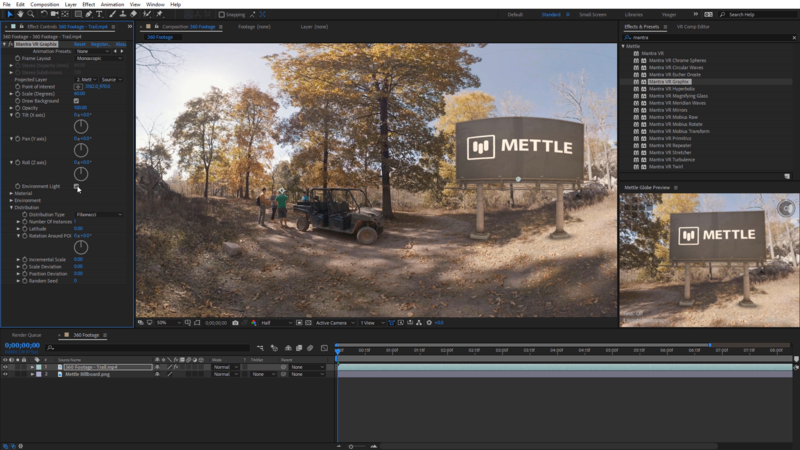 Mettle SkyBox Studio, 360/VR plugin, helped him make that step from traditional filmmaking into 360 productions. So how did this short film come to be? 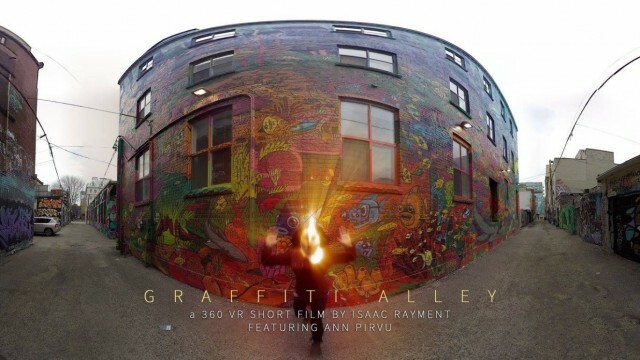 What started out as a special effects test to play with Mettle SkyBox evolved into this little narrative gem called Graffiti Alley—a ‘short’ exploring what happens when the world of 2D breaks into the more immersive reality of 360. Partnering with Terry Myers and his 360 Go-Pro array with 3D printed mount, and calling on the radiant talent of actress Ann Pirvu, we headed out to shoot our first tests. 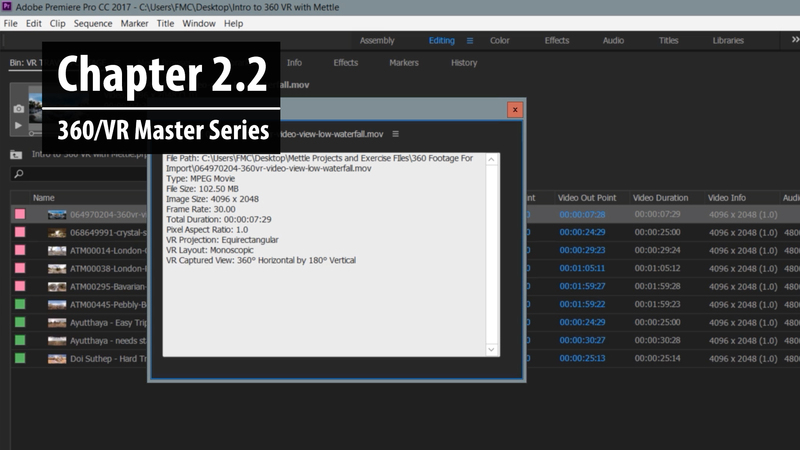 Now I’m working with Mettle SkyBox Studio on a title sequence for another VR short—first in a series. 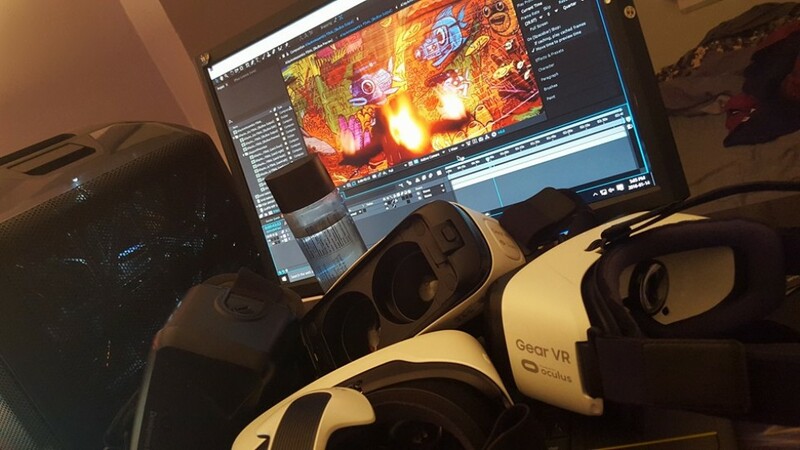 Plus I’ll be shooting a VR series in LA this fall that’s going to be effects heavy, so I’ll be leaning hard on Mettle for that one, too! What kind of journey ultimately brought you to 360 VR? I began directing music videos a few decades ago, and the special effects portion always interested me more. This led me to explore Projection Mapping, and allowed me to travel the world, create installations and explore this new way to share ideas and emotions. It was the original Augmented Reality, as far as I’m concerned. 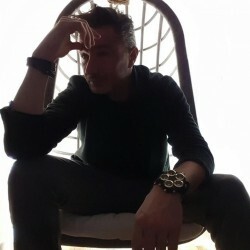 Moving forward, constantly aspiring to challenge myself with new forms of expression, I stepped into Mobile Augmented Reality, with an app created with my software dev team led by Alexandra Slesareva in Ukraine. We developed an immersive, interactive environment for Ubisoft Canada’s national launch of their award winning game ‘WATCHDOGS’. While playing in the AR sandbox, it with often confused with the heavily trending Virtual Reality. So I thought – why not? And ‘Graffiti Alley’ was born. Since then I’ve shot a handful of concerts in 360… Mavado, The Cult… as well as top tier speakers like Margaret Atwood and Seth Godin, plus a handful of documentary style shoots. Excited by all the potential and possibilities, for the last few years now we’ve been developing AR software solutions and experiences, and we’re pushing to launch some public Design and Deploy Augmented Reality platforms late in 2016. Ann Pirvu watches Griffiti Alley at the Canadian Film Fest. So what’s the next VR project for Four Eleven? 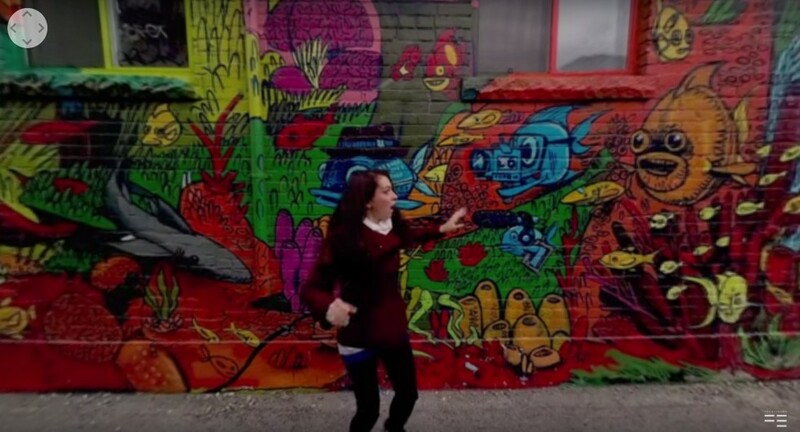 ‘Graffiti Alley’ was our first step into the exciting world of VR 360. 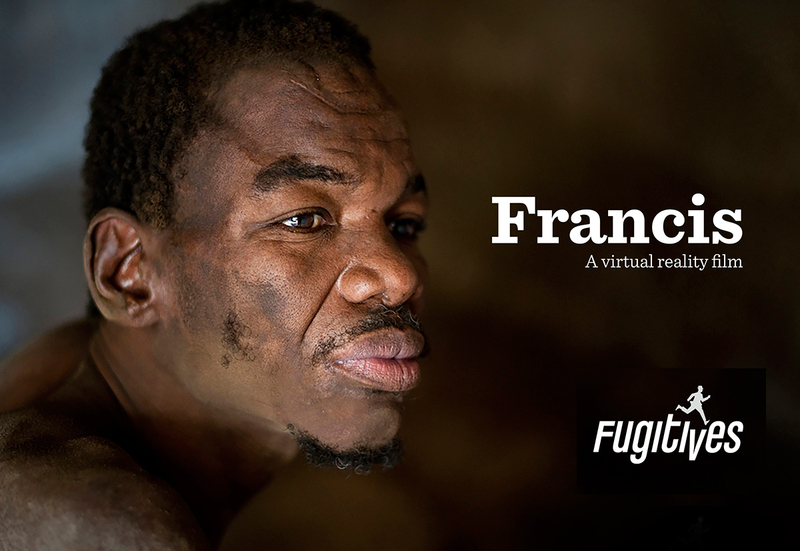 Armed, with lessons learned from this film, we’re working with a team in LA on this exciting new “effects heavy” series I mentioned earlier, but also, on producing some captivating 360 drone footage in India for an interactive documentary. Now, getting back into the narrative format, I’m excited to be developing new VR series’ both here in Toronto and in LA, as well as working on more personal projects. 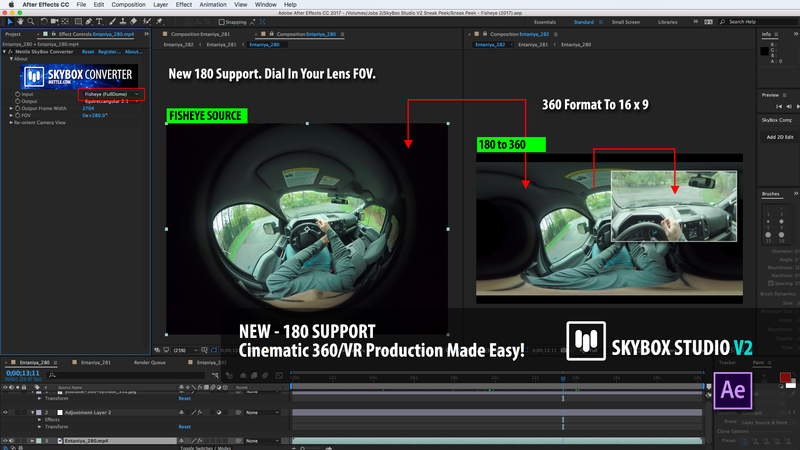 Any other insights into the transition or shift from traditional film to 360? It’s really a new evolution of storytelling, but in fact, it’s almost a regression back to classic theatrical narrative techniques in terms of how we create. My storyboards are now topographical blocking charts, as opposed to frame specific. We ‘choreograph and rehearse’ scenes with the talent. Then, we hit record and run and hide while they play the scenes out. It’s quite a thrilling new challenge: figuring out how to tell stories where you can’t direct the audience’s attention with the frame any more. It’s almost like creating the environment and letting the audience find the story. We’re excitedly exploring the next evolution of ‘The Story’. 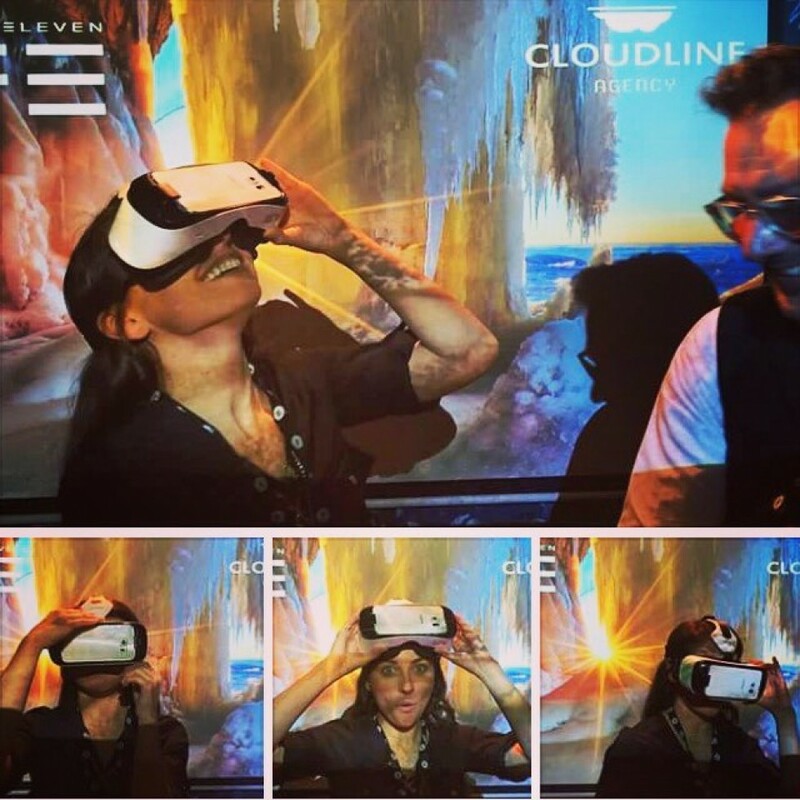 Headed by Isaac Rayment, Four Eleven is “Leading the Charge” – Creating bold new content for emerging digital platforms with augmented and virtual reality.